Sometimes people underrate the importance of punctuation. If your work is full of errors, you risk not only confusing and/or annoying your readers, but you also risk losing credibility. Punctuation errors are bad enough in a novel or a short story, but if you're writing non-fiction, your readers may think, “Hmm...if this guy can't put apostrophes in the right place, can I really trust his expertise in the subject matter?” This is something you do not want your readers to think. If you're showing possession, you need that apostrophe. Otherwise is looks like a plural. This would be doubly confusing if it were “His mothers fear” because that reads like he has two mothers and they both fear something. It's not until the next word that the reader is jarred into the intended meaning: “His mothers fear was made reality.” Oh...his mother (or mothers, we're still not sure because it's not punctuated correctly) had a fear and it came true. 2) Wrong: Humanities primal urges. Also would be wrong: Humanitie's primal urges. When a word ends in y, and you want to make it PLURAL, you change the y to i and add es. But when you want to make it POSSESSIVE, you do not change the y. Just add apostrophe s. The city's streets are clean. Not many cities are so clean. 3) Wrong: A process which Heracles labours are forcing him to undergo. 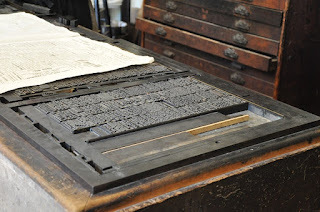 The correct way to punctuate names and singular nouns that end in s is debatable, and depends on which style guide you use, though nowadays most lean toward adding the apostrophe s instead of just the apostrophe. Charles's camera. The bus's back tires. 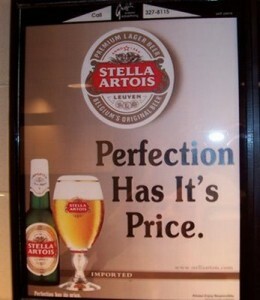 But of course, if the noun is plural, you just add the apostrophe. The girls' playhouse (there are at least two girls). 4) Wrong: The sea's were troubled. Right: The seas were troubled. 5) Wrong: Helios see's all things. Right: Helios sees all things. Never put an apostrophe s in a verb UNLESS you're making a contraction with is or has (he's tired, she's singing, Mary's awake, the cat's never caught a bird before, the world's been going downhill..) Otherwise, just don't do it. Please. 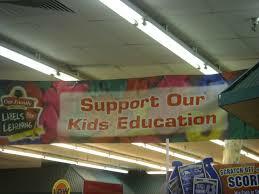 A regular s is sufficient. Helios sees. Helios hears. Helios knows. 6) Wrong: It's muscles flexed. This is a very, very, very common error. It's is a contraction of it and is (It's hot in here). Its is the possessive of it (This book is complicated. Its appendix of characters is twenty-seven pages long.). I think most of us know this, but it's easy to make the error in haste or with bad typing and then not catch it later because we know what it's supposed to say, so our brain skips over the error. If you're worried about it, there's a long, boring solution: use the find feature on your word processor to hunt down every example of both it's and its in your manuscript and make sure they're all right. While you're at it, check you're and your. “My parents' house is old” means that the house belongs to both your parents. Let's go swimming this afternoon. Mom never lets me go swimming. Who's going to cook tonight? Whose carrots are these? They're going to cook tonight? But their carrots are old. You're invited. Your invitation got lost in the mail. We're is not the same as were and he's is not the same as his. Yes, these last ones should be obvious, but I've seen the mistakes in work people felt ready to publish. The problem with these types of errors is that spell checker will never find them. Your grammar checker won't help a lot either. You have a sacred duty to your readers to find somebody (yes, an actual person, and preferably several of them) that will be able to hunt down and correct errors like this after you do your best to correct them yourself. This post is such fun, thank you, Melinda. In a copy-editing course I took our instructor warned us that we'd never read anything the same again. She was so right. I find errors like these all the time. My favorite in your post is the tattoo! 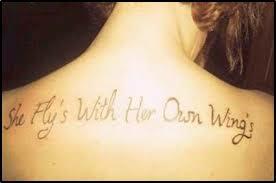 Kind of a permanent reflection of the tattoo artist's knowledge of grammar (or lack thereof)! What great tips on avoiding punctuation errors in our writing. I love the tattoo image. That poor woman! I agree! 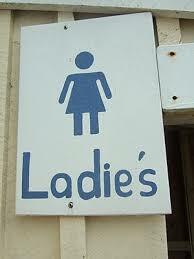 This apostrophe thing is the most irritating of errors that people make – – whether unknowingly or by accident. I cover this punctuation error in my book, The Frugal Editor, along with a few overused style choices that are just as annoying.